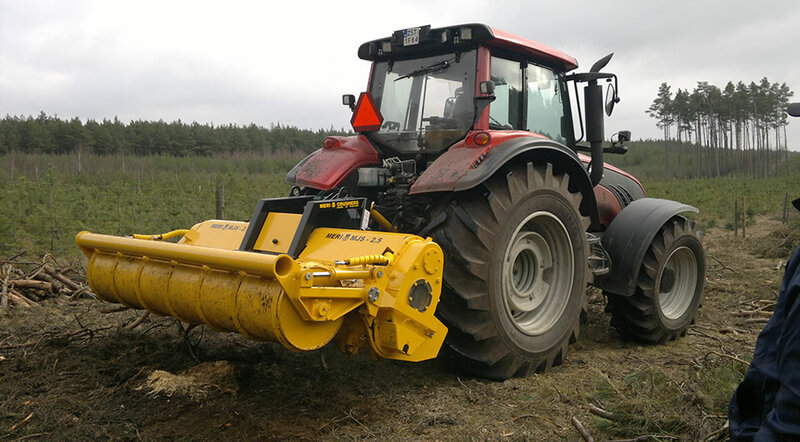 Tractor and hydraulic carrier mounted mulchers - Reliable, Efficient and Cost Effective land clearing equipment for professionals. 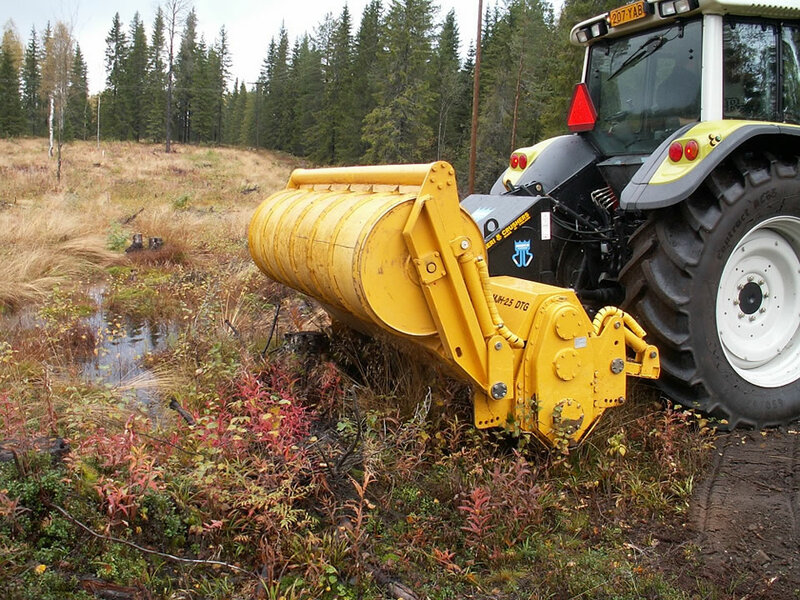 Superior design and engineering enables mulchers to work effectively above and below the ground level. 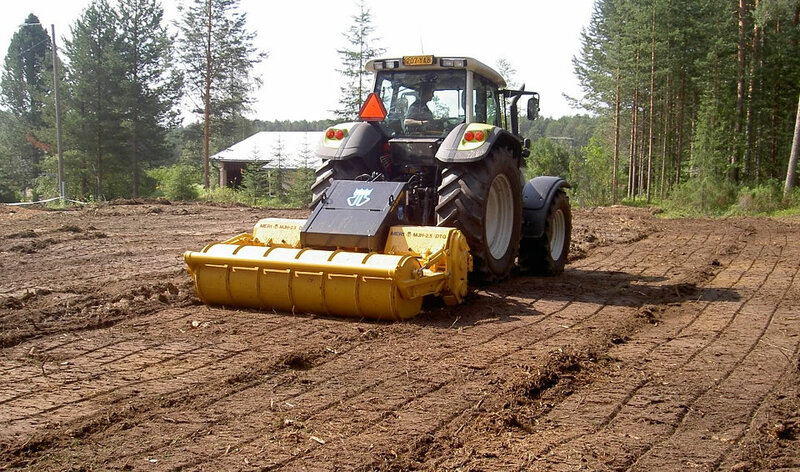 Typical, and ideal uses include: forest to farm clearing, forest site preparation after harvest, construction and clearing of utility rights of way, clearing and grubbing for building and other site development, stump removal and crushing of ice and frozen soil. 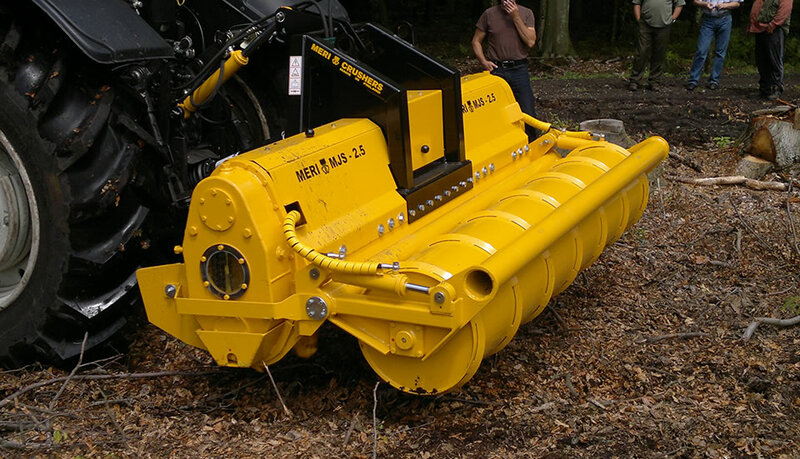 Used with small urban and agricultural tractors of different sizes, the MeriCrusher MJ is versatile and efficient crusher. 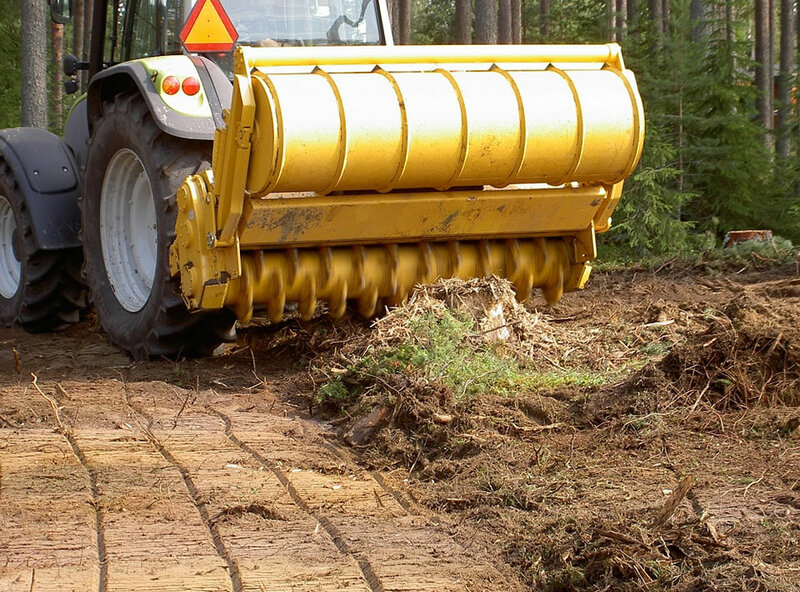 The crusher is suitable for forestry and land clearing. 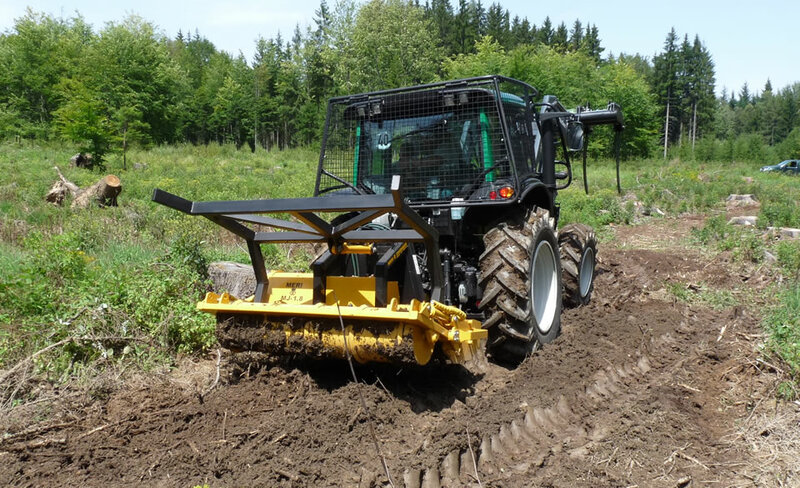 It can be used for crushing stumps and it has a maximum working depth of 8" (200 mm). 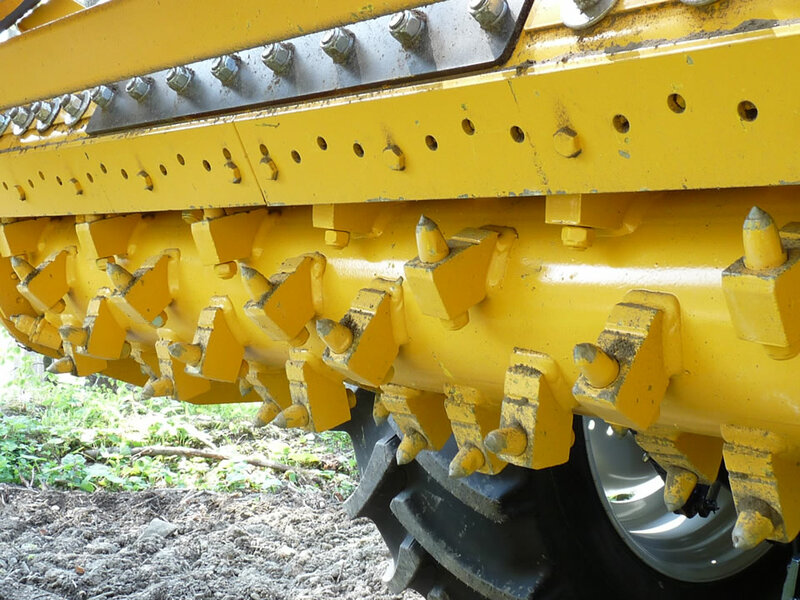 Also used for summer and winter gravel road maintenance. Suitable for crushing ice on roads and sidewalks to level the surface and improve traction. 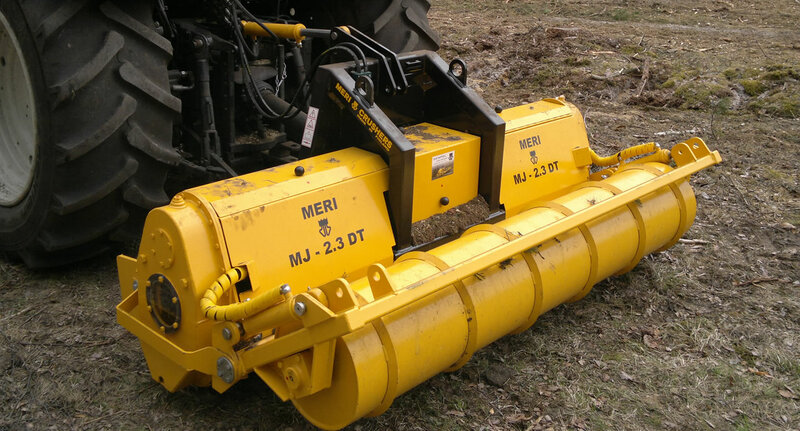 Designed for versatile crushing, the Meri Crusher MJ is your first choice. 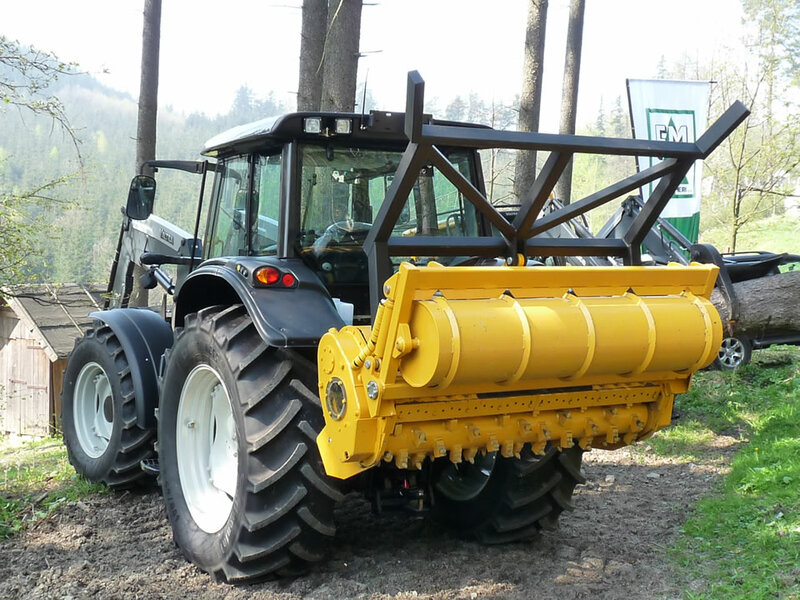 Light, strong construction makes the MJ series ideal for a wide power range of tractors up to 150 hp. Working in conditions where light weight and durability are paramount, the MeriCrusher MJ gives excellent crushing results from the STD rotor. Power is transmitted to the rotor through single or dual double chain drives and always protected by an over load clutch, of either friction disc, or patented POC (pressure operated safety clutch) type, designed by Suokone.